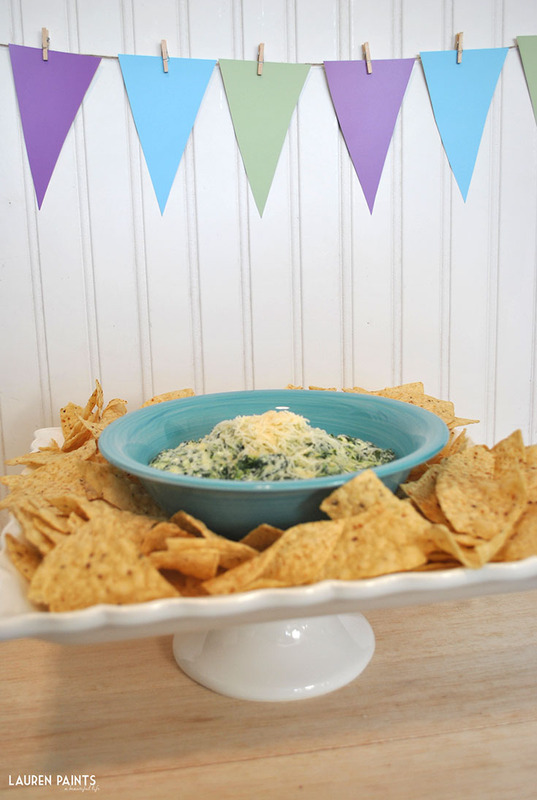 This year, I celebrated the big game in style, as you've probably already noticed if you follow the blog. Even though I served up a pretty decent amount of, ahem, less than healthy food - I'm doing my best to stay on track with my diet! 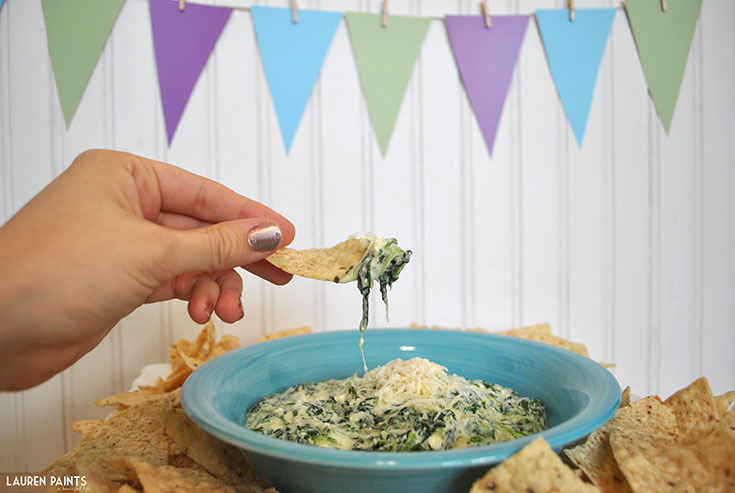 This dip is beyond delicious, maybe even better than "normal" spinach dip and the perfect way to chow down on something delicious with out feeling guilty for it later, so I made sure to add it to my spread. Say hello to your game day best friend, ladies and gentlemen! 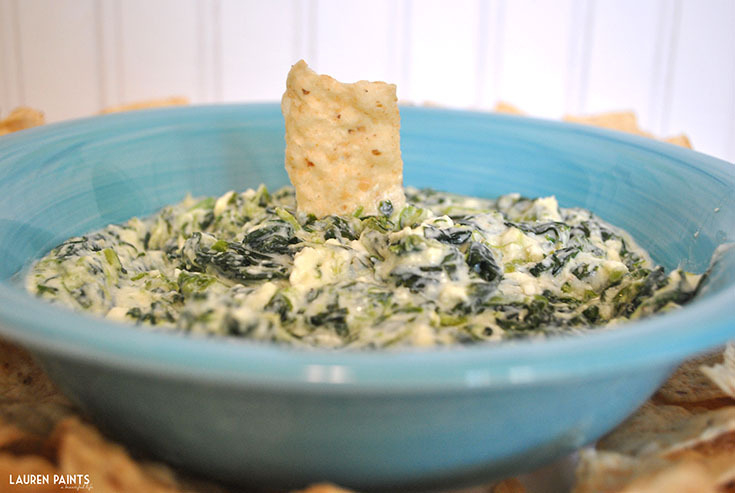 Be sure to pin this yumtastic recipe for later use - friends and family will be asking you to make this again and again! 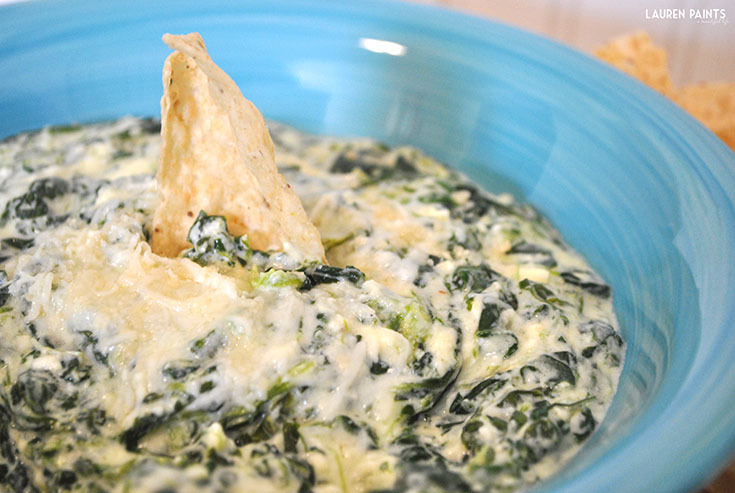 Combine neufchatel cheese, greek yogurt, and spinach in a skillet, stir until they are all combined well and reach a warm temperature. Remove from heat and add Parmesan, Italian cheese blend, and a dash of garlic. 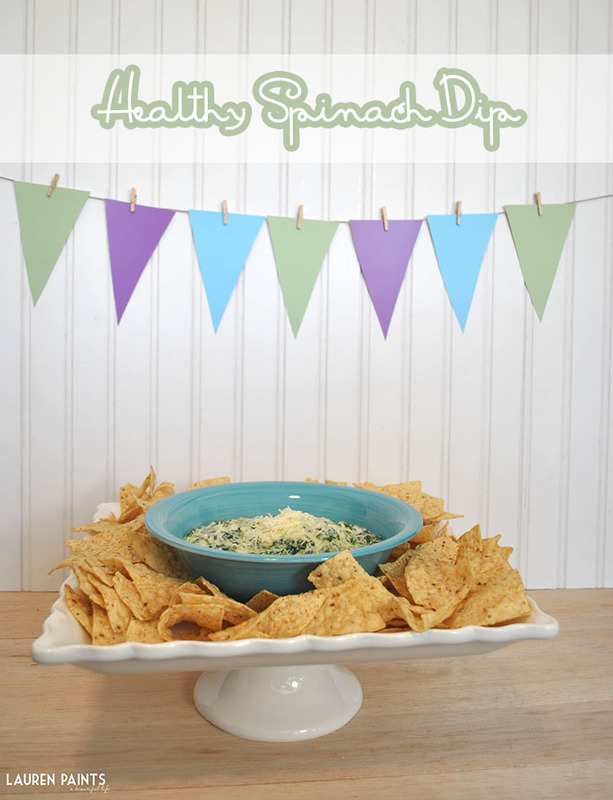 I'd love to know, what's your favorite healthy appetizer?